Available as a single wrap, in pairs or a quad set – Horse Quad contains 2 Horse front and 2 Horse hind. Pairs are either fronts or hinds. Taken from Cryochaps FB page by http://www.orangefoxeventing.co.uk/blog. I have been on the lookout for an excellent pair of cold boots for ages now. Studies show that cold running water, or ice are the best ways to reduce the temperature of the horses legs, so I’ve been looking for an excellent pair of something that will work well when at an event post cross country. I have tried everything! A hose of water is impossible out in a field in the middle of nowhere and I’ve tried boots that you dunk in water, bandages that you freeze and other things designed to work. Sadly none have been really what I wanted, due to being awkward, time consuming or just basically not working! It’s been frustrating……Until I tried Cryochaps! That’s it I’m now sorted!! These boots are absolutely perfect! They are so easy to apply and use. They stay cold at events and the best bit….THEY WORK!! Thank heavens!! I pop them in the freezer and on the morning of an event I pop them in a cold box where they stay until I need them. They stay cold all day and are very quick to use. 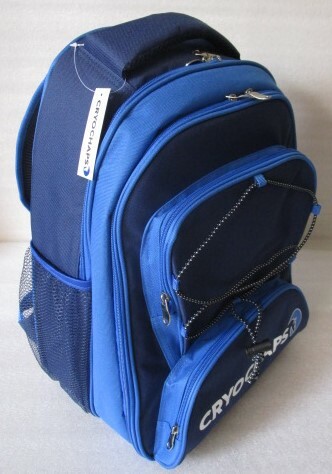 To look at they have a gel pad, and attached to this is a soft material section that has straps and Velcro. They will wrap around any size of leg, they are long enough to cover the WHOLE length of the leg! And they fit all my horses really well, not only providing cold therapy but compression too. I love them! Whilst at Hartpury Premier League I visited the Classic Dressage stand to purchase some of the new Cryochaps ice boots and I can honestly say they are the best ice boots I have used by a mile!! Although a lot of people think that ice boots are just used for rehabilitation after injury, it is also important to use them to aid recovery and prevent injury post exercise. One of the main features of the ice boots is the design and shaping of the ice pack which covers all of the tendon and ligament structures in the leg, where as a lot of top branded ice boots struggle to cover and cool down the suspensory area. The ice packs are also supple and mouldable around the leg as soon as they come out of the freezer meaning easy application and no bulky boots around the horses legs!! Even after just 10 mins on Doogie’s legs his legs were stone cold and stayed stone cold! I highly recommend these ice boots and they are available from Classic Dressage for £85 a pair. We have used most of the ice boots available on the market and these are by far the best we have come across. They are slim, lightweight and mould to the horses leg to ensure even coverage. Their lack of bulk mean you can store several pairs in a table top freezer. 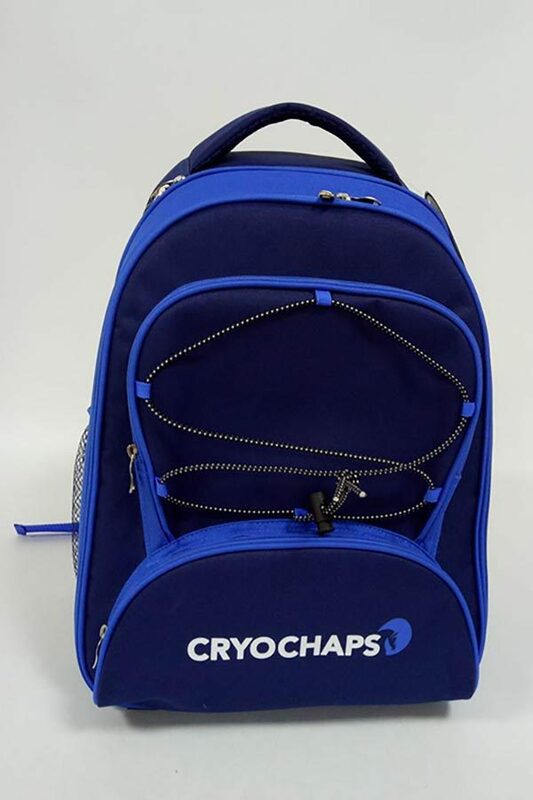 Tricia, thank you so much for shipping the Cryochaps to the US. They are beyond awesome, and I mean that. For years I have wasted hundreds of $’s on different ice and cooling boots, but nothing comes close in ease of application and effectives. The compression provides an even cooling spread on the leg. Perfect! US horse owners will love these! Cryochaps are flexible frozen ice boots, with a shape designed to cover from high suspensory to under the fetlock. After the iced part wraps around the limb, it is followed by a neoprene cover to compress and keep the boot on safely, so the horse can keep walking off. They stay cold for up to 2 hours from the freezer, longer if well packed in cool boxes etc. Wipe clean, refreeze and re use… it’s that simple. I’ve been using them regularly on a slightly fragile character, who dislikes anything loose dangling around her legs – they’ve delivered exactly as Tricia promised, secure cold compressed legs. We had a successful couple days at Rockingham. The horse the Cryochaps went on worked a treat. Legs felt great especially after jumping out of tacky/deep ground. They were quick and efficient to apply from my point of view with 3 running on FEI times it was full on. The boots meant there was no faffing and he could be left with them. The boots are so lightweight and wrapping around the legs as well as they do is a massive thumbs up from my point of view. Value for money: 9/10 At £45 per chap it means they are affordable for most people and I like that you can buy per chap, rather than having to buy in a pair. Comfort: 10/10 I’m not sure what could be done to make these more comfy on my horse, they fit him well and he was able to move about freely with them on. There was no pressure points once they were on, unlike some other boots. Negatives: The material straps mean you would have to properly clean them rather than just give them a wipe down. I also found them a bit twiddley to put on the first couple of times but then got the hang of it! Positives: Great quality, great coverage area and I think the best price for good quality products that are currently on the market. Overall impression: Definitely something you should consider if your horses injury is high up on his leg or your conscious about cooling from the fetlock right up to the hock; a good, innovative addition to the ice boot family that ticks a lot of boxes. Would I recommend: Yes, especially if your horse suffers from PSD or issues pertaining to the higher part of the leg. Even horses that have issues in the fetlock would benefit from these boots because they do stretch down to the fetlock and are secured neatly with the bottom strap. Boot that is new to the market. Really like these boots……they seem like a great product. The benefits of cold therapy post exercise is widely proven and at this time of the year when the ground is firmer the use of cold therapy to maximise post exercise recovery is widely recommended. Length of coverage. Unlike some other ice boots these cover the upper portion of the distal leg meaning high suspensory , whole tendon length and check ligaments are covered. They also wrap neatly around the fetlock and the front of the leg. They are relatively quick to freeze and stay cool in an ice box for several hours. They are very flexible so give good contact. The straps are broad, we haven t had any slippage of the boots, and the fetlock strap cups around the joint insuring good contact in this area. Lastly the big bonus is ease of use. They are very quick to pop on and take off between races if you are busy making them extremely practical to use out and about at the races or any competition for that matter. These are definitely a worthwhile little boot to have. These boots are great. If only I had known about these sooner it would have saved me a lot of time that I spent cold hosing my horses leg following a ligament injury. I love the way that they mould to the horses leg and they cover such a good area too. I now use them both as a post exercise therapy and for any ‘little knocks’ as a preventive measure. So easy and convenient, they stay cold enough for hours in a freezer bag with ice blocks. Also excellent customer service, all my questions answered before purchasing and a speedy delivery. I am a very happy customer and so is my horse! these boots are great. They stay cold for a good amount of time, longer than the 10minutes recommended. They are easy to put on and fit nicely.